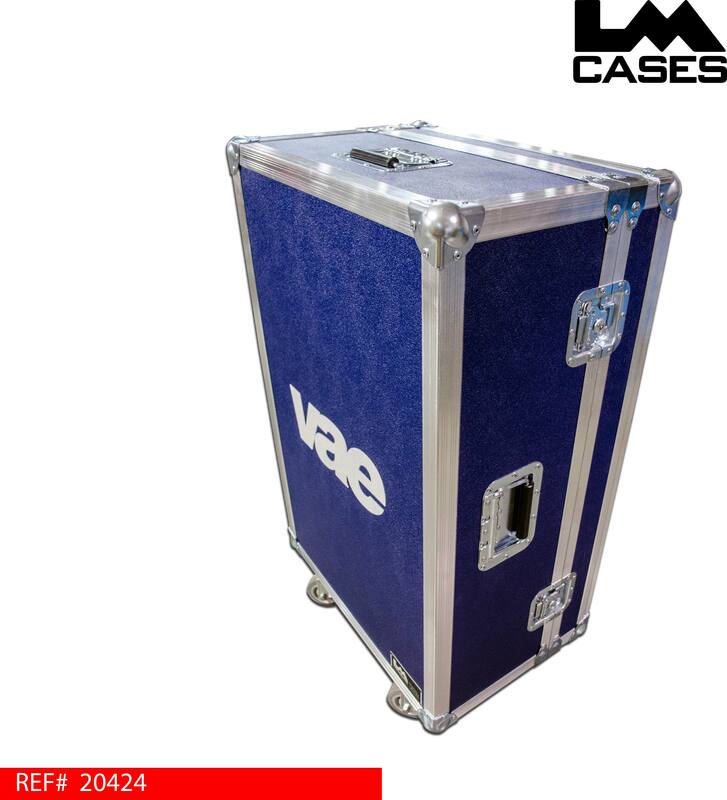 This case was designed for VAE to house a Yamaha LS916 console. 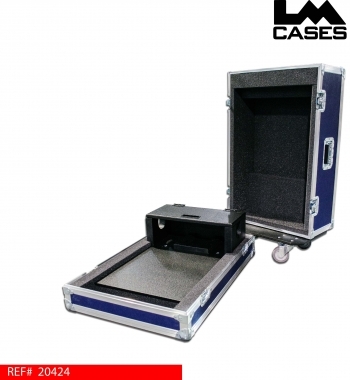 The case features a 1” Ester foam lined interior with custom blocking at the palm rest and by the integrated screen. A 8” deep doghouse built out of high quality 3/4” Baltic Birch finished with black texture coating hides the I/O section of the console for a sleek finished look perfect for corporate events. 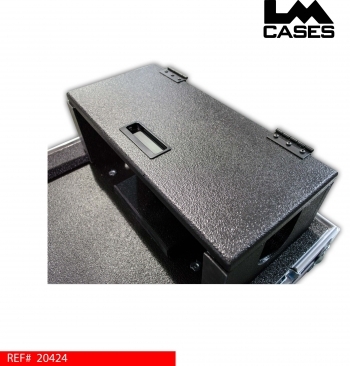 The exterior case is built out of 3/8” plywood laminated with your choice of ABS plastic and features 3 recessed handles and 3.5” casters with a full 3/4” Birch caster pad. CLICK HERE to purchase this case from our web store.